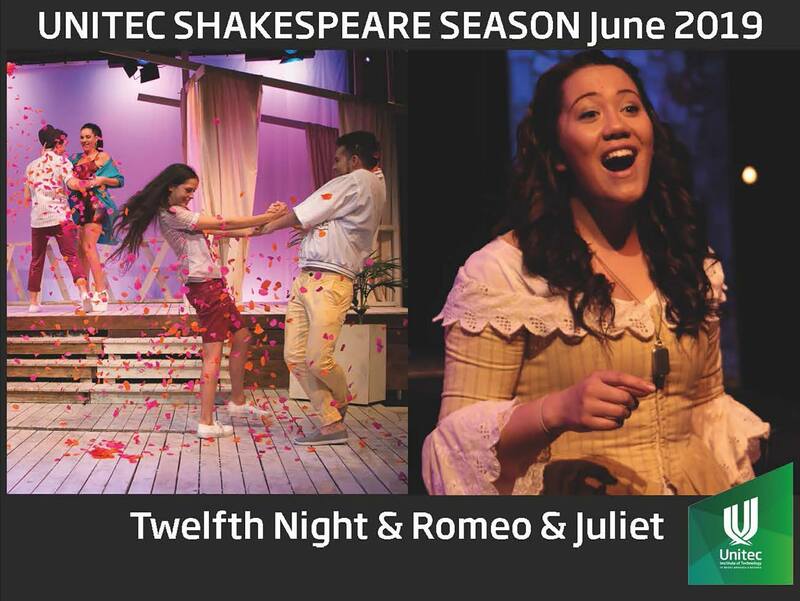 2019 will see another excellent season of Shakespeare plays performed by Unitec’s graduating acting class. Twelfth Night was written to take place for the traditional festivities set for 12 nights after Christmas when a 24-hour party allows chaos to reign. A king and queen are identified because they find a pea or a bean in their cake and not all is what it seems. In Shakespeare’s Twelfth Night cross gender disguise, passionate pursuit of hidden identities and a sense that desire does not always find its satisfaction makes a timeless comedy; woven through with wisdom and pathos. To simply call it the most famous love story of all time is to neglect the aching sadness and exposing of human foolishness that is in the heart of the timeless Romeo and Juliet. Through the tragedy of the lovers’ brief lives we learn once again that tender shoots of romantic love can be destroyed by parental neglect and vindictive refusal to heal, to forgive, to accept. Beauty and grief embrace and the poetry of the greatest dramatist leads us toward the light.